These are called Acne cosmetica. Its a mild form of Acne and disappears when the patient stops using the particular cosmetic which caused the skin irritation. Mostly, the cosmetics guilty of producing acne are high in oil content. This plugs the skin pores and makes skin susceptible to bacteria attack. It would be better if people suffering from Acne either keep away from such cosmetics or go for water base cosmetics (foundation, liquid make-up etc). They should also check the cosmetic if it carries a label of being "non-comedogenic" (should not cause whiteheads or blackheads), or "non-acne-genic" (should not cause acne). Acne usually occurs on the face, but in severe cases it can spread on the back, chest and even upper arms. One of the most common and well known ingredients in cosmetics is lanolin. It derived from sheep wool and is, in fact, oil from the skin of the sheep. These oils are not dissimilar to the fatty acids already found in human skin. These fatty acids can cause acne in those individuals who have a natural affinity to the disease. This acne causing ingredient is found in many cosmetics. Its purpose is to apply "slip", which will make it go on the skin smoother and cause a slick sheer feel. There are a number of chemicals similar to isopropyl myristate. These are a few of these chemicals; legion, isopropyl palmilate, isostearate, butyl stearate, octyl stearate, and isocetyl stearate. Some of the approved D & C red dyes which are derived from coal tars are known to be comedogenic. Some of these red pigments such as D & C Red #9 and D & C Red #40 have been tested for comedogenicity and were found to be the most troublesome of the various red pigments. Much of what causes the damaging effects known as acne cosmetica is excess oil. On the assumption that sebum is a beneficial component of the skin, chemists have set out to replicate this substance. In doing so, stearic acid and isopropyl myristate have been commonly used in cosmetics. These chemical substances can be even more potent than an excess of natural sebum in causing acne. Many cosmetics and toiletry products make claims of being "oil fee" and in the classic legal sense, this is true. The "oil free" claim is very misleading because the oil substitutes that are used in these products are synthetic and are often more harmful than the excess sebum found in the skin that can block pores. The best types of cosmetics to use for oily, or acne prone skin are either oil-free cosmetics, or non-comedogenic cosmetics. Oil-free cosmetics mean products that contain little or no ingredients such as isopropyl myristate, isopropyl esters, oleic acid, stearic acid, petrolatum and lanolin (especially acetylated lanolin, alcohols and lanolin fatty acids). The label on the cosmetic should state that it is oil-free. This implies that the product has been formulated with no oleaginous ingredients. These products would be appropriate for oily or acne-prone skin. For a small number of people, acne may still flare up. To feel better about yourself, you may want to consider using cosmetics to cover up your acne. You should remember that not all skins react alike to the same cosmetic. Oily foundations give the best and longest coverage, but tend to make acne worse. 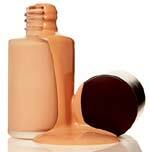 Generally speaking the most acne causing cosmetics are foundation makeup, pressed powders, thick creams, and blushers. It is necessary to check the ingredients listed on all of your skin care products since acne causing ingredients are not limited to these classes of cosmetics. Comedogenic ingredients can even be found in suntan lotions and creams. Moisturizers can also be a source of acne producing substances. In order to make these moisturizing products smooth on the skin easily, they are often manufactured with ingredients such as acetylated lanolin, searic acid, and cetyl alcohol. All of these ingredients are considered to be comedogenic. Most dermatologists recommend moisturizers that have a base of petrolatum or mineral oil. Are we sure about the cosmetics that we use are actually causing acne? Many cosmetics on the market today contain various comedogenic ingredients. A comedogenic ingredient is basically something that will clog your pores. If these chemicals/oils are put onto the skin of someone who is acne prone, they will most likely experience breakouts. Even individuals that would not have otherwise developed acne can experience "cosmetic acne" due to use of comedogenic products. Unfortunately it is not always easy to distinguish what makeup products will cause acne. Even if the product claims to be oil free it may contain synthetic oils that can clog pores. Also, it is difficult to know if your makeup is causing your acne, since breakout may not appear for up to 6 months after you have started using the product. Acne is a skin disorder that results from hormones on the sebaceous glands causing the pores to become plugged. The result, as we are all so painfully aware, is pimples and zits. The face, neck, back, chest and shoulders are the most often affected and while in most cases it will eventually clear up naturally, in a few instances permanent scarring can result. Can Cosmetics make acne worse? Some cosmetics, particularly those from the USA and the ethnic Indian make-ups, may induce blackhead formation in the skin. Certain hair oils or pomades, particularly those used to "defrizz" very curly hair, may induce blackheads and whiteheads along the hair margin. These should be avoided by those with a tendency towards developing acne. In the same way, some people react to suntan oils with a worsening of acne. Always test suntan oils on a small area of the chest first to make sure you do not react to them. Most make-ups today are non-comedogenic, which means they wont clog your pores. When shopping for cosmetics, look for products that are non-comedogenic, oil-free (water-based) and hypoallergenic (no added fragrance). Please note that strenuous exercise can cause any make-up, even the right kinds, to migrate across the skin and into the pores - so forego heavy cosmetics when you work out. Ever wonder where your make-up goes over the course of the day? Some of it is rubbed off by contact with your hands and your clothing, and some of it migrates across your skin, settling into your pores - much like rainwater collects wherever there are small holes in the ground. Some make-ups include ingredients that are considered comedogenic, or substances that are known to clog pores. Although these cosmetics may not cause true plugging of the follicle, certain ingredients may induce follicular irritation. The result? The small, persistent bumps known as "cosmetic acne."